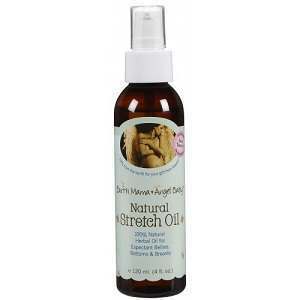 This article provides a comprehensive product review for Earth Mama Angel Baby Natural Stretch Oil. The manufacturer claims that this oil is safe for bellies, breasts, and hips that suffer from stretch marks. It is also suitable for massage during pregnancy and natural birth. Read on to learn more about this product. Grape (Vitis vinifera) seed oil- good for stretch marks because it repairs damaged or stressed skin tissues, which helps to retain normal skin structure. Organic jojoba (Simmondsia Chinensis) seed oil- proven treatment for stretch marks. It has skin soothing, moisturizing, restoring, and healing capabilities. Organic borage (Borago officinalis) seed oil- nourishes the skin, encourages natural skin elasticity, and eases stomach itching. Organic chamomile (Matricaria recutita) extract- has antibiotic and antiseptic properties. It also diminishes marks and scars on the skin. Organic calendula (Calendula officinalis) extract- soothes inflammation, prevents infections, and promotes skin regeneration. It aids in stimulating collagen production reduce stretch marks and minimize scarring. Vitamin E (tocopherol)- can reduce and eliminate striae by promoting the production of collagen and new skin cells. Organic orange (Citrus sinensis) essential oil- has anti-inflammatory, antiseptic, and skin-conditioning properties. It moisturizes the skin and minimizes skin damage. It also smoothens wrinkles and fine lines. Neroli (Citrus Aurantium Dulcis) oil- nourishes the skin. This product does not contain synthetic fragrance, parabens or phthalates, mineral oil, petroleum products, or dyes. Apply externally twice every day. Use it to massage your breasts and belly. This product claims to be 100 percent natural, toxic-free, safe for combating stretch marks. Therefore, pregnant women and women who have just given birth can trust it. Nevertheless, it is recommended that users should check the ingredients to make sure that there are no known allergens. The price of one 120 ml bottle is $14.99 on the manufacturer’s official site. The price of one 30 ml bottle is $6.99 on the manufacturer’s site. This is a fair price compared to the prices of most products with the same capabilities. We did not find any price discounts on the official site. This product can also be purchased from other sellers at a slightly lower price. We did not find any information concerning a money-back guarantee. Without this guarantee, some people are likely to worry about losing their money in case the product is ineffective. Nevertheless, the number of positive customer reviews is reassuring. We found many positive customer reviews, which demonstrate that most users are happy with the product. In summary, this is an ideal product for reducing and eliminating striae during pregnancy and after giving birth. It contains the relevant ingredients for combating stretch marks and nourishing the skin. Its positive characteristics include many positive testimonials from users and natural, risk-free ingredients. However, there is no guarantee of compensation if the product does not work. In addition, there are no price discounts on the official site. David Carney	reviewed Earth Mama Angel Baby Natural Stretch Oil	on August 15th	 and gave it a rating of 2.5.